We all know Saturn, Mars and the Nodes when Afflicted can be explosive along with Affliction to the Luminaries who are the Life giving force ..
Let me write the Malefic Parameters at the time of WW1, WW2, Gulf War, War with China and War with Pakistan to arrive at a conclusion what could these malefic planets have up their sleeves between June to Nov. 2017. Fiery Sign Leo having Sun and Venus afflicted by Exhalted Mars by 8th aspect . In Navamsha also Leo sign afflicted by Mars and Saturn and having Sun Lord of Leo. Saturn Influencing Retrograde Jupiter and Moon by Retrograde aspect . War with China on the 20th Oct. 1962. Leo having Sun and Saturn aspect from the Sign Aquarius and Retrograde at 174 degrees from Sun. Leo sign having Sun and aspected by Mars in navamsha . 5th June Rahu and Ketu change Navamsha , Saturn and Rahu joining Aries Navamsha again a Fiery sign explosive for Disasters Saturn in Sagitarius Sign and Aries Navamsha , both Fiery and Influence on Rahu-Ketu. 10th June Mercury sets in the East , 30th June it Rises in the west. 15th June Saturn and Sun opposition and Saturn at 180 degrees in slowest Motion, Strong Bhandan Yoga . Gandantha Saturn connected to Sun, Moon, Ketu very close at the time of Solar Ingress. I have already mentioned that this Ingress may not be a Good one. The Above chart is making clear of the Happenings till Sun in the sign Gemini. It is said that the Sun ingress in the cardinal signs are more important but if in an Solar ingress chart the Placement of Sun and the Planets aspect them are malefic and owning malefic houses as the case in the above chart Sun in the Lagna with Mars the 6th Lord and aspects of Saturn degree wise and at 180 degrees is a Parameter which cannot be ignored. The Following Parameters acquire special dimension comparing with the time of War like situations in the charts of War with Pakistan, Gulf War ,and Indo Pak war with Bangladesh. After 21st June 2017 Saturn Fallen and will aspect Rahu and Mercury also , hence except Venus all planets will be afflicted between the 20th t-21st June 2017. The above Parameters lead to war like situations as discussed above but not as explosive as the WW1 and WW2 but definitely like the Gulf War and other Wars discussed Between India -Pak and India -China . Researching the above there are no Planetary Conjunctions of Mars-Ketu or Saturn- Ketu in the year 2017. The Conjunction of Saturn- Ketu is more dreaded since both will remain in a sign for a longer period . Mars Ketu and Mars Retrograde will also be dreaded since both will be in conjunction for a longer Period . This conjunction is Taking Place on the 21st April 2019 , 30th April 2019, 12th June 2019 could be explosive and some what like the Big War. Jupiter and Saturn in Capricorn on the 20th Jan 2020 is also not a healthy one and will be discussed when the reach there . 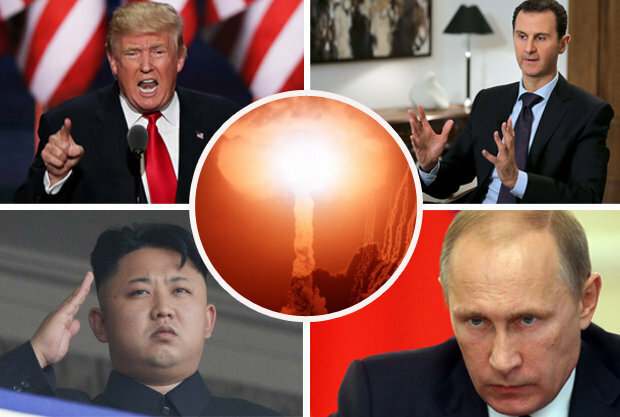 On the 28th August 2017 Could be Explosive in the Present Scenerio. The Planetary Positions are Explosive but not like the World War type where Conjunctions of Mars-Ketu or Saturn Ketu are capable of Producing the worst which cannot be imagined . Mars Rahu Degree conjunct is angarak yoga and aspected by Fallen Saturn in Stationary mode could also Prove explosive for Explosions Disasters with magnitude . North Korea, ISIS and Gulf Countries may be Instrumental in all this . US may jump into an aggressive mode and Enter into war like situations. Terrorism with Magnitude cannot be ruled out in US and the other Prone Countries. Natural and Unnatural disasters already discussed in my other articles are also on the Cards with magnitude like Earthquakes , Volcanos, Tornados apart from Brawl between the Countries . US, China, North Korea, Russia, Syria and the Gulf Countries will be definitely be influenced by this Transit from 15th June to 10th Sept. 2017 and till Saturn passes through the Gandantha points till Nov. 2017 . The Brawl between 2 Countries will, escalate after 15th June 2017 .India -Pak , India-China not good it so seems till end of the year specially Saturn transiting the 7th house of Wars over the natal Ketu.